This page is for existing clubs, housing everything you need to deliver to the highest standards. Whether you are newly registered on the programme or approaching a big club anniversary, explore the pages below and take the next step in club development. The club toolkit pulls together helpful guides and resources, from poster templates and bursary applications through to Clubmark accreditation and guidance on holding your first HSBC UK Go-Ride Race. Here you will find role profiles for each of the key volunteer positions within a Go-Ride Club. Support and grow your volunteer workforce, making sure you’re filling these important positions. Get young people involved in running your club, with once-in-a-lifetime opportunities on offer. Learn how to host races for young riders and get your next event booked. See what’s going on nearby over the school holidays and fill days off with fun coaching. 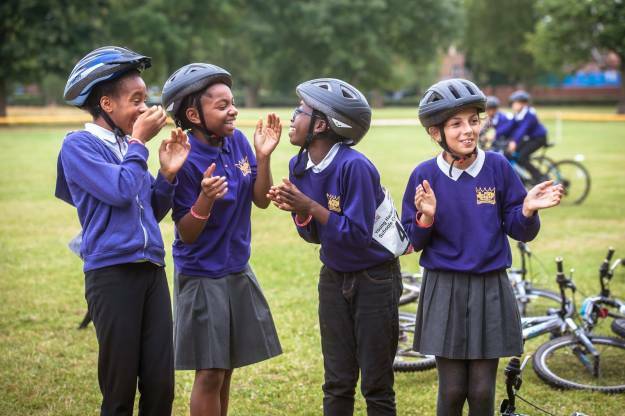 Looking to take part in a HSBC UK Go-Ride session or enquiring from a school?